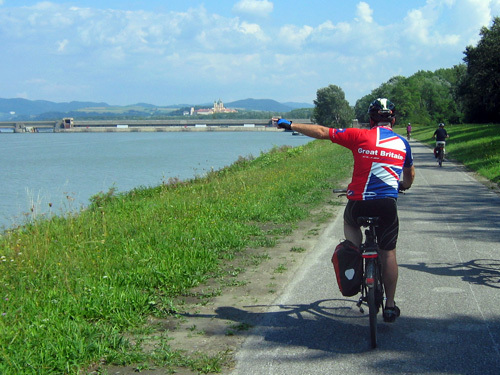 At the confluence of Danube and Inn River: With our hotel being situated right there it's the perfect place to start a cycling holiday. 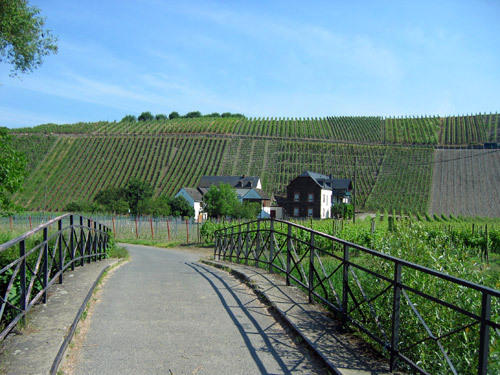 Cycling the vineyards of the Moselle River: The perfect place and time to visit a vintner in the cellar. 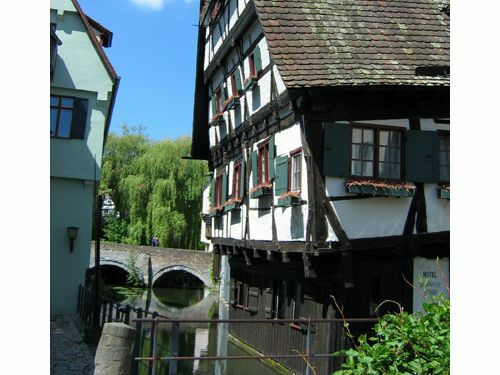 The Crooked House, still standing in the Fishermen's quarter of Ulm, is just one of many picturesque places that we come along on a guided tour in Ulm. 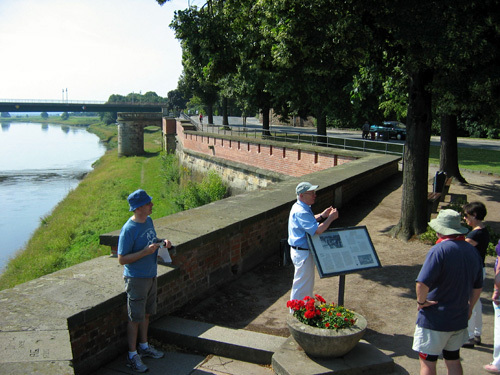 April 1945, Elbe Day: Here it is where Russian and American soldiers met during WWII. Our local guide will tell you what exactly happened those days. 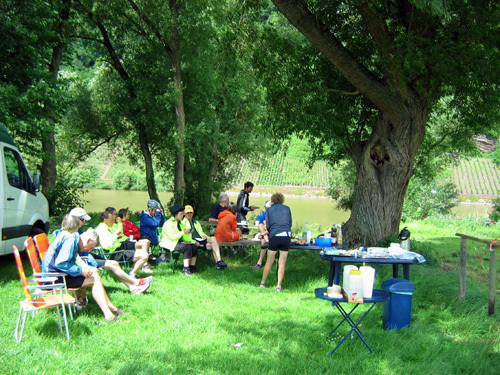 A buffet style picnic is prepared almost every day. 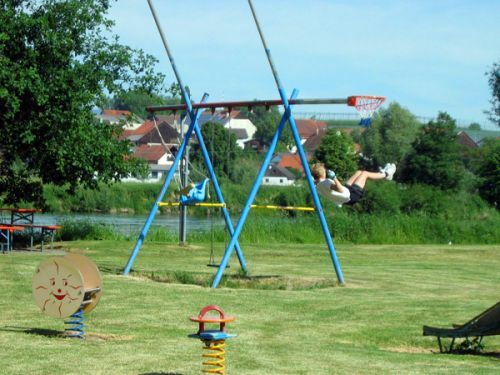 You will find everything to make a sandwich, fruits and vegetables from the market, all kinds of non-alcoholic drinks as well as selected local delicacies. You won't even miss your piece of chocolate. 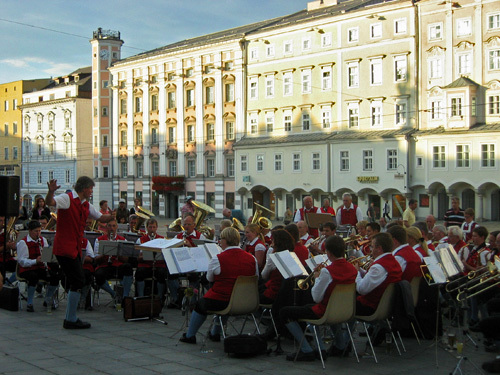 A public concert at the main square of Linz: not far from the hotel where we stay. 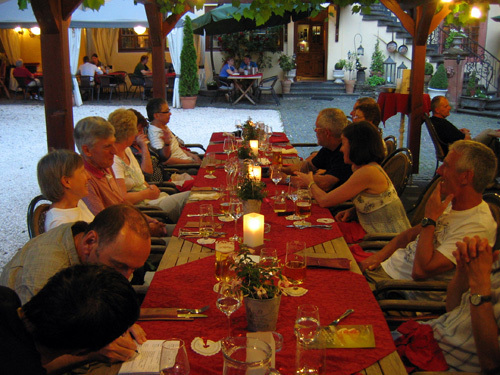 Our guests relaxing and chatting over dinner: here at the restaurant of Zell Castle. 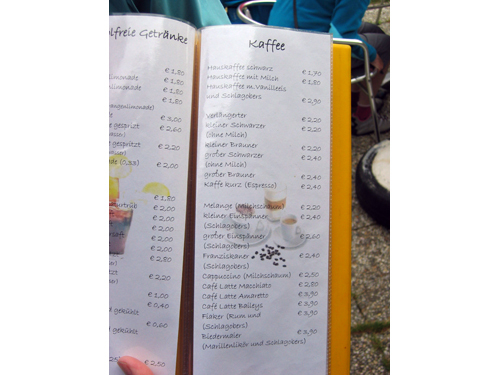 By the way: there are no restrictions to the menu. You can eat whatever you like. We hope you like the pictures and don't get the impression it was all about eating and drinking and guided city walks. Most of the time you will be cycling. The length of the cycling depends on the route you choose. 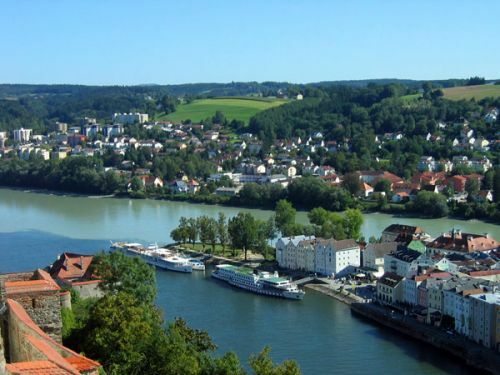 Six different routes wait for you to be discovered. Come and join us! Scroll down to see all ten pictures and feel free to click/tap on any to get forwarded to the actual tour where the picture was taken.